Ontario is located in east-central Canada. Ontario is bordered by the James Bay, Hudson Bay, Lake Superior, Lake Ontario, the United States to the south, Quebec to the east, and Manitoba to the west. 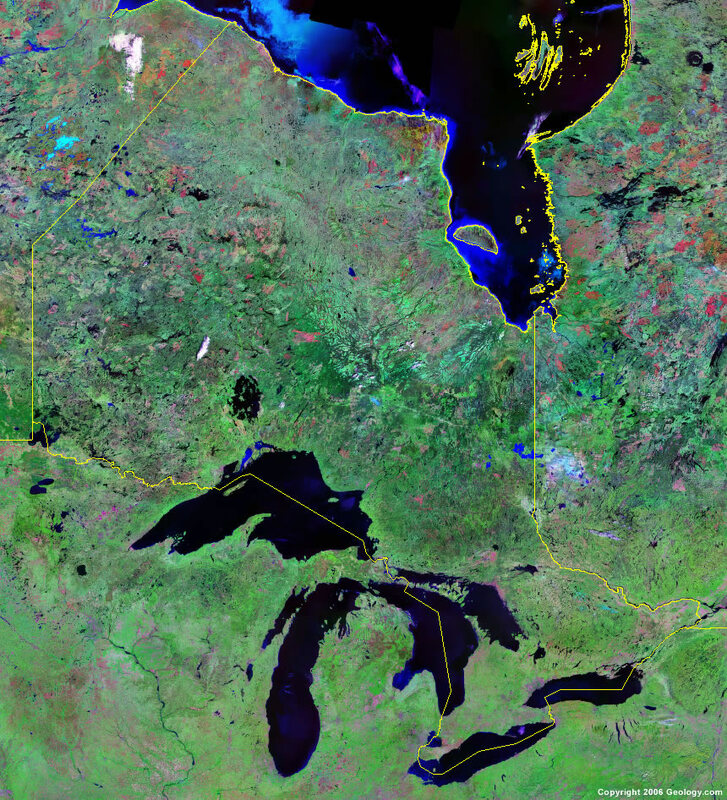 Google Earth is a free program from Google that allows you to explore satellite images showing the cities and landscapes of Ontario and all of North America in fantastic detail. It works on your desktop computer, tablet, or mobile phone. The images in many areas are detailed enough that you can see houses, vehicles and even people on a city street. Google Earth is free and easy-to-use. 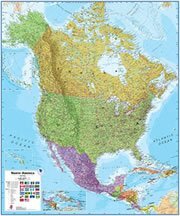 If you are interested in Ontario and the geography of Canada, our large laminated map of North America might be just what you need. It is a large political map of North America that also shows many of the continent's physical features in color and shaded relief. Major lakes, rivers, cities, roads, country/province/territory boundaries, coastlines and surrounding islands are all shown on the map.